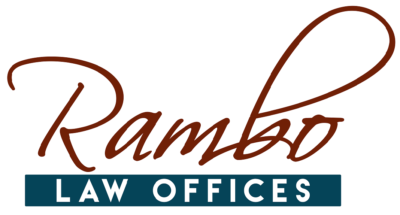 Testimonials - Rambo Law Offices - Phoenix, AZ Bankruptcy. "From my first conversation with Jacque, I felt comfortable with her. Her compassion and empathy to my situation was evident from the beginning and her coaching/mentoring style fit with my personality. She was thorough and walked me through the process of filing for Chapter 13 and was great about providing options and various scenarios of what could happen. She helped me prepare for a very scary event in my life and I couldn't has asked for a better lawyer. Her knowledge of bankruptcy law and guidance was excellent. Jacque helped me be very prepared for my creditors meeting and provided me the support I needed to file for bankruptcy and always encouraged me that it will be fine and it was. Its the start of recovery from financial gloom and glad she was there for me. I know the next 5 years will be hard while I recover from this bankruptcy but glad to know she is there for me when I need her expertise and guidance, as well a little cheering up now and then! I talked to several lawyers and while all of you were knowledgable. You stuck out as I felt you were compassionate and empathized to my situation. Most of the lawyers I spoke with just stated facts to me and felt more of a fact gathering/business meeting; whereas you made me feel like you understood me and were more personable. In addition, I liked the fact you told me about the possibility of refinancing my mortgage after filing bankruptcy and would like to explore that with you in the next couple of months. You were great to work with and so thorough." "Wow! Thank you for your information. Thank you again for your expertise and quick reply. We could/will always count on you!! I knew from our very first phone call that I felt very connected with you and because you literally spent over an hour talking with me during our initial conversation. It was without question we would be choosing you to provide your expertise and guidance through our difficult process. I’d highly recommend your services and was recommended to you with high regard to efficiency and your ability to explain things in layman’s terms. Thank you Jacque for all you did for us. I felt as though we truly received special attention. And after reading your accolades, they confirm that ALL of your clients have received the same “special attention” THANK YOU, THANK YOU, THANK YOU!!!" "THIS LADY ROCKS! Extremely impressed and very satisfied with Ms. Rambo's support of myself and my financial issues. Very knowledgable; willing to research what may be unfamiliar territory. Had many late-Friday discussions; never felt rushed or that she had something more important to do. Calls and emails were returned timely, and communication flowed nicely. Appreciated the humor, lightness and personal touch Ms. Rambo demonstrated. She always made me feel that my issues were important to her; she devoted endless hours to understanding my needs and ensuring she met them at all times. A true professional in every sense of the word; a pleasure to work with always." "We just wanted to express our gratitude for the great job you did for us. When we lost our home to foreclosure I prayed. God put you in our lives. You made things happen that are new to the legal system. You pulled us through. We are the one-in-a-million who were able to get our home back. Thank you. God will bless you." "To most, the thought of needing a lawyer can be overwhelming and nerve racking. I reached out to Jacque and she immediately laid much of my anxiety to rest. I found her to be very helpful, informative, and thorough. She is kind, personable, and understanding of the fact that “life happens.” Think of her as the complete opposite of the greedy sharks that lawyers are portrayed as on TV and in movies. We received a far better outcome in my situation than expected and I wouldn’t hesitate to recommend her or use her services again (if need be)." "Your competency and humor and determination to make sure I survived was truly inspiring. I thank you so much. I know that there is no way this would have worked without you. Trusting is not a skill I possess in abundance. Deciding to do so with you was the smartest thing I've done in a long time." "I've worked with Jacque as a colleague on a non-profit's board of directors, and as a client needing her legal expertise in a real estate transaction. In both instances, she was outstanding. Her follow-through, integrity and ability to communicate complex legal issues to regular folks is nothing short of excellent. She aims to provide her clients with the highest level of legal service, and that's why I will continue to refer her to friends and colleagues in need. Thank you, Jacque!" "Thank you so much. You're the greatest. 🙂 You really have a heart for people and I love how you continue to take care of me. It's been a very tough year for me and I appreciate you very much." "Jacque handled my divorce. She was personally involved every step of the way. She always returned my calls and was always very patient with me during a very emotional time. That is a quality hard to find. I highly recommend her not only professionally but more importantly personally!" "Thank you, Jacque, for being the smart, supportive person you've been throughout my case. Your thorough, compassionate approach to my situation gave me peace of mind that my legal obligations were being cared for by a professional. I would most certainly refer you to my friends and associates." "We were so happy to have chosen Jacque and are thankful for her guidance and hard work. Things where overwhelming and stressful but she was always the calming voice. She is very knowledgable and explains everything in detail so you are sure to understand what is being done and why it has to be done. Very grateful we had her by our side." "From my first conversation with Jacque I knew she was not only professional and really knew her stuff, but she was thoughtful, understanding, compassionate and kind. She spent hours on the phone with me explaining numerous scenarios and explaining everything in detail so I understood my options. She digs deep in asking the right questions so she can really get the full picture and ensure you're protected. Jacque goes above and beyond for her clients and truly cares. I highly recommend Jacque without any hesitation!" "Thank you so much for your time today Jacque and bless you for protecting my interest and not just handling paperwork. I’m pretty lucky to have you as my attorney! I need to tell you that you have been the best attorney I could ever ask for. I have had a number of dealings with attorneys in both my professional and private life and none of them compare to you. You have protected my interests and put my mind at ease when I get anxiety. If there is anything I could ever do for you in the future...call and I would come running!" "Hey Jacque. Love, love, love it! Just wanted to thank you once again while my gratitude is fresh in heart. I can't heap enough accolades on you. You've been positively wonderful and delightful thru the entire life of this case. It's a true testament to your person. I truly enjoyed meeting you. I'll be in touch with you soon. Please feel free to call anytime as a lawyer or friend or employer for that matter. It's always, always really nice to chat with you." "Toasting your amazingness! So I got home, immediately walked over to my wine fridge, opened it, and pondered which of my wines I should enjoy after getting through today's hearing, the day I've worked a year toward reaching (and surviving). All of them were screaming for my attention -- a couple Cabs, a few red blends, and two Pinot Noirs ... but then my eyes rested on a quiet Chianti just waiting for me to notice it. I said, "THAT'S IT! Jacque, my wonderful lawyer and new friend who happens to love Italian reds, will be toasted with a lovely Chianti." And so I have just raised a glass of the Tuscan juice in your honor. Now we must find an evening to share a glass -- wait, make that a bottle -- of a scrumptious Italian varietal. Thank you for the past year, for today, and everything in between. You're awesome. :)"
"I researched a handful of attorneys before choosing you and I have to say that your personality and genuine concern after we had initially spoken solidified my final decision. We know our case was a challenging one but you tackled it with a confidence that led us to more than we thought was possible. You have a true talent for the work that you do and you put your heart into it. All our thanks." "Thanks for taking such good care of us, Jacque. Your promptness in responding to our questions and concerns has been most impressive. Your professionalism and genuine helpfulness has been greatly appreciated, and we will gladly refer our friends to you in the future." "We are grateful for your help and getting our life in order. Thank you for pushing us and staying with us. Above & beyond, a true pro!" "I asked Jacque to assist me with getting some legal paperwork done. She told me that she could help me out at a reduced rate by guiding me on doing it myself. Today we discussed it and she said that she had done some research and found that I could actually do it on my own without her guidance. She told me who to contact to take care of it. She could have easily charged me $1500 to $3000 to assist me. She has integrity. I am so thankful to know her!!!" "The letter is great, and we couldn't be more satisfied! Thank you for giving us the time you did, and for not charging us accordingly. We appreciate it more than you know, and we hope this will be the beginning to a healthier life for us! Thank you again!" "OMG!!! YOUR LIKE A CHRISTMAS ANGEL!!!!!! THAT WILL HELP SO MUCH...."
"What can I say but thank you for all your assistance with our case. You were always there with support, strategies, and a smile! It has been a pleasure to work with you! Here's to success! "Jacque Rambo – Boy, all I can say is - Certainly deserving of the name RAMBO! I am sure glad she was fighting for me and not against me! She really knows her “stuff” and is the person you would want on your side, no matter what your battle. Whether bankruptcy, divorce or contract law – She is your gal! Jacque is very personable, down to earth and easy to talk to. She is a fantastic listener which is a crucial quality that few attorneys have. I never felt intimidated or rushed when I spoke to her. Her fees are very reasonable and she didn’t try to gouge me every time I had to send a fax or had a quick question. I would highly recommend her to anyone looking for an experienced, qualified and professional attorney. She is the BEST!" "I’ll send everyone who needs legal help to you, Jacque. You have been wonderful, and I continue to appreciate everything you did to see me through a very painful chapter in my life. Thank you!" "THANK YOU for making this painful experience painless - we REALLY appreciate your work. We were amazed that we had found such a kind, experienced lawyer....we were just lucky." "That's amazing! I would have sent you a wire transfer already. I can't say thank you enough." "Thank you sincerely with all my heart for all the support and assistance you have given me so far. I viewed your website and was especially moved by your storm survival... You are an amazing woman (although your primary hand might not feel like it) and while I know I am depressed about my current situation, I am grateful God has put many good people in my life to help me out... I gotta believe that you are one of them. 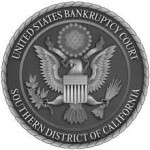 I just wanna say thank you again as you really have helped me more than you know... even before we file anything... you have helped me better handle the fears of the upcoming bankruptcy issue with its wage garnishing and judgement fears. I really am grateful for all that you have already done. Thank you, Sincerely Joe"
"We met Jaque as a result of trying (and failing) to file a chapter 13 by ourselves.. Jaque quickly gave us so much great advice that we had her fix and practically refile our whole entire case..What a blessing she was for us, she saved us 10x the amount of money we tried to save by having no counsel, and 1000x the headaches..Every time we spoke with Jaque we always tried to end our conversation by telling her how much we appreciated her for working so hard for us and caring about us as people not just as clients. 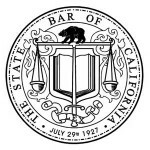 Jaque also converted our case to a chapter 7 and REALLY saved us a lot of money and now our case is finished..Whew..What a load off..We'd recommend Jaque to anyone who wants an atty to really care about them and work hard for them..We thank you again Jaque." "Jacque has an incredible amount of integrity. She has a personality that puts people at ease and makes it easy to talk to her. Her knowledge is incredible, yet if she doesn't have the answer she will find it instead of pretending to know. I can't say enough about this beautiful, intelligent, loyal, dependable, and honest attorney." "Thank you for helping me navigate the road of bankruptcy. You made it as smooth as possible with your knowledge of these matters and knew what potential issues could arise. I felt very prepared and knew what to expect at all times. Your responsiveness to emails and phone calls made me feel like I was a priority. You've been wonderful to work with and I appreciate you helping me every step of the way! Thank you for everything!" Jacque, you are an amazing person. You make me feel so positive and hopeful about my problem. I am so lucky to have connected with you." "As my wife and I battled to save our home from foreclosure, we found ourselves losing to the very same lender that claimed they wanted to help and were easy to deal with. After bailing ourselves out twice with 401K loans and the lender stalling to run out the clock, our home was 7 days away from going to auction. We were referred to Jacque Rambo by a good friend who I trust implicitly. Not knowing Jacque Rambo at all, we put our trust in her to prepare and file a Chapter 13 in less than 1 week. With 2 hours to go until our home went on the block, and after 2 all night sessions down the stretch, Jacque Rambo filed our case and stopped the sale of our home. Jacque Rambo is an expert in her field and understands what you, the Trustee and the Courts are looking for in this unprecedented time in our in history. Attention to detail is critical, as we found out. Having a good working relationship with the Courts, is critical, as we found out. Working tirelessly to get you confirmed while educating you to succeed post confirmation, is what Jacque does. Not to mention, for a flat fee. The fact that she is focused in this specific area of Law 85% of the time has made her a winner in her field, as well as earned her the respect of her clients peers. During a time of record number of cases being filed and no added help provided to the courts, there is ZERO margin for error, if you want to succeed. With so much on the line and the sheer volume of cases being processed by the courts, having an expert in his/her field has never been more important in order to succeed. One would have to be crazy not to go into battle with Jacque Rambo, Esq.. THANK YOU JACQUE RAMBO!" "Jacque is quite the opposite of the stereotypical lawyer, as she is very compassionate, personable and trustworthy. Her rates are extremely fair for her experience level, and she doesn't milk you for every penny like others might. If you want a great attorney who will be a shark in the courtroom and when dealing with the opposing lawyer during negotiations, yet is an actual human being and understands your needs as well, then Jacque Rambo is the right choice. She'll go the whole 9 yards for you. She has handled multiple scenarios for me ranging from incorporation for my business to law suits. She's handled simple (and reasonably priced) demand letters to complicated cases- all with superb detail and great outcome." "You have been really fantastic and wonderful and I deeply appreciate that. Thank you again." "It is nice to deal with an attorney on the other side that is reasonable and responsive--a very rare combination indeed!" "I am so grateful for your help and I will recommend you to my friends." "OMG, this sounds great! You did an awesome job!!! Based on your words I would award me without even going to trial." Check out what my clients have to say!! From my first conversation with Jacque, I felt comfortable with her. Her compassion and empathy to my situation was evident from the beginning and her coaching/mentoring style fit with my personality. She was thorough and walked me through the process of filing for Chapter 13 and was great about providing options and various scenarios of what could happen. She helped me prepare for a very scary event in my life and I couldn't has asked for a better lawyer. Her knowledge of bankruptcy law and guidance was excellent. Jacque helped me be very prepared for my creditors meeting and provided me the support I needed to file for bankruptcy and always encouraged me that it will be fine and it was. Its the start of recovery from financial gloom and glad she was there for me. I know the next 5 years will be hard while I recover from this bankruptcy but glad to know she is there for me when I need her expertise and guidance, as well a little cheering up now and then! I talked to several lawyers and while all of you were knowledgable. You stuck out as I felt you were compassionate and empathized to my situation. Most of the lawyers I spoke with just stated facts to me and felt more of a fact gathering/business meeting; whereas you made me feel like you understood me and were more personable. In addition, I liked the fact you told me about the possibility of refinancing my mortgage after filing bankruptcy and would like to explore that with you in the next couple of months. You were great to work with and so thorough.